Chapman University will present a day-long conference examining the City of Bell scandal on Thursday, February 19 from 9 a.m. to 8:30 p.m. Panelists will include elected officials, academics, citizen activists and attorneys, and some of the top journalists involved in reporting the scandal, including “Los Angeles Times” investigative reporter Jeff Gottlieb, who, along with his colleague Ruben Vives, uncovered and broke the story in 2010, winning a Pulitzer Prize for their efforts. Serial entrepreneur and Tech Coast Angel Shan Steinmark, Ph.D., is Chapman University’s Leatherby Center for Entrepreneurship and Business Ethics new Director. Beginning in this position December 1st last year, Dr. Steinmark is no stranger to Chapman having served as a lead mentor with the Leatherby Center for the past two years. 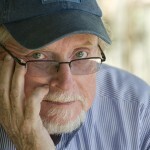 Aspiring fiction writers may apply for a once-in-a-lifetime free writers’ workshop led by renowned, award-winning author Richard Bausch at Chapman University. Bausch – a Chapman professor of English and creative writing who has authored a dozen critically acclaimed novels and is considered a master of the short story form – will offer his third annual Chapman Creative Writing Workshop during the university’s 2015 spring semester.